Take Route 3 to the Union Street Exit (exit 17). If exiting from the north, enter the rotary at the end of the ramp and take the first right, which is Union Street. If exiting from the south, enter the rotary at the end of the ramp and take the third right – also Union Street. Once on Union Street, go straight through the first set of lights up to the lights at the end of Union Street, which forms a “T” intersection with Washington Street. (Thayer Academy the intersection). Turn left onto Washington Street and go straight through an immediate traffic light. The library, a red brick building with a tower, is on the left, two blocks from the intersection of Union and Washington, directly across from French’s Common. Library parking is visible and accessible from Washington Street at the far end of the building. Bus: Thayer Public Library is on the #230 bus route, “Quincy Center Station – Montello Commuter Rail Station” via Holbrook and Braintree Station. The bus stops right in front of the library. Train: Thayer Public Library is accessible by the “T.” Braintree Station, the southern terminus of the MBTA Red Line, and a stop on the Kingston/Plymouth & Middleborough/Lakeville Commuter Rail Lines, is within walking distance of the library. Walk downhill from the station and take a hard left onto Union Street. You should walk under the subway tracks after 50 yards or so and will then be walking uphill. At the top of the hill, at the set of lights, turn left onto Washington Street and go straight through an immediate traffic light. The library, a red brick building with a tower, is on the left, two blocks from the intersection of Union and Washington. 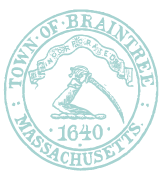 From Braintree Station you can also take bus #230 marked “Quincy Center Station – Montello Commuter Rail Station.” Take “Montello” which stops right in front of the library. Go to www.mbta.com for additional route and scheduling information.